1Rad-Reader Reviews: CAN YOU SOLVE MY PROBLEMS? 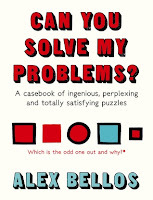 : A Casebook of ingenios, perplexing and totally satisfying puzzles. CAN YOU SOLVE MY PROBLEMS? 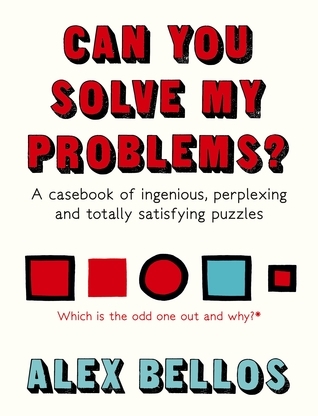 : A Casebook of ingenios, perplexing and totally satisfying puzzles. Here is the story of the puzzle, one of mankind's oldest and greatest forms of entertainment and enlightenment, told through 125 of the world's best brainteasers from the last two millennia. It takes us from ancient China to medieval Europe, Victorian England to modern-day Japan, with stories of espionage, mathematical breakthroughs and puzzling rivalries along the way. You'll pit your wits against logic puzzles and kinship riddles, pangrams and river-crossing conundrums. Some solutions rely on a touch of cunning, others call for creativity, others need mercilessly logical thought. Some can only be solved by 2% of the population. All are guaranteed to sharpen your mind.